Stars from Michelle Obama to Billy Eichner are working to get out the vote. 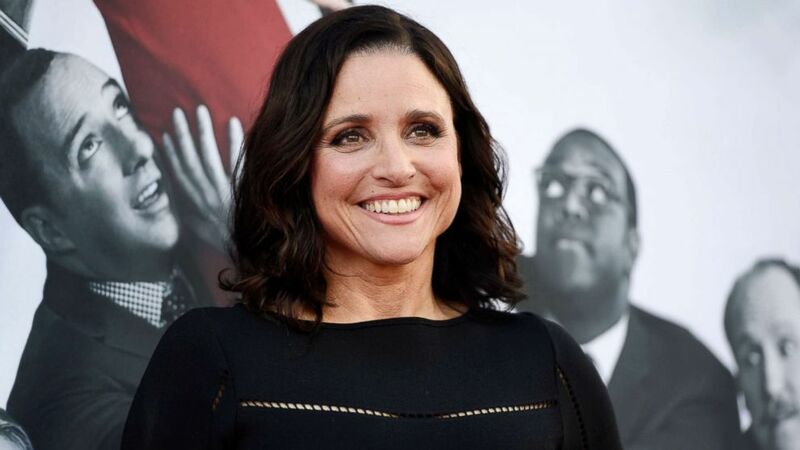 “Veep” star Julia Louis-Dreyfus, who plays the president of the U.S. on the hit TV show, is encouraging Americans not only to vote but to also get out and volunteer this election season. (Justin M. Lubin/HBO) Julia Louis-Dreyfus is pictured on season six of "Veep." Louis-Dreyfus is bringing her star-power to her first PSA ever, for the Multiply Your Vote campaign, urging Democrats to take action. The actress has donated money and volunteered for campaigns in the past, but said that this year she felt a new urgency to do something more. To people who say celebrities like herself should not get involved in politics, Louis-Dreyfus argues she is a citizen first. (Chris Pizzello/Invision/AP) In this May 25, 2017, file photo, Julia Louis-Dreyfus, a cast member in the HBO series "Veep," poses at an Emmy For Your Consideration event for the show at the Television Academy in Los Angeles. "I’ll start by saying that Donald Trump is a celebrity, number one," she said. "Number two, I am an American citizen so why in the world shouldn’t I speak out with my opinion." Obama is a co-chair of the voter registration nonprofit When We All Vote. Michelle Obama said she hoped to get Nevada residents "fired up" to vote. She added, "I don’t pretend to be an expert. I’m not running for office. I am not a politician. I don’t have all of the answers but I am a concerned citizen who has a very strong point of view and I happen to believe that we are on a really devastating path." A high-profile figure like Louis-Dreyfus attaching her name to a political cause does have an impact, election experts say. "Celebrity endorsements are important because they are signals," said Andra Gillespie, associate professor of political science at Emory University. "If you like a celebrity and you know that celebrity’s politics, you may use their cues to make decisions." The most effective way to get people to vote is to reach out to them in person by knocking on doors, Gillespie said. For celebrities, the more they encourage volunteering or use their profile to raise money, the more effective their message can be, Gillespie added. "If the celebrity’s support is then translated into buying more pizza to feed volunteers or getting people to go knock on doors, then that's effective," she said. "They can help get the funds to stage the in-person voter mobilization that can actually drive up turnout." Louis-Dreyfus is in good company, using her celebrity voice to help get voters to the polls on Nov. 6. Here are four other high-profile names who have launched initiatives for the midterms. 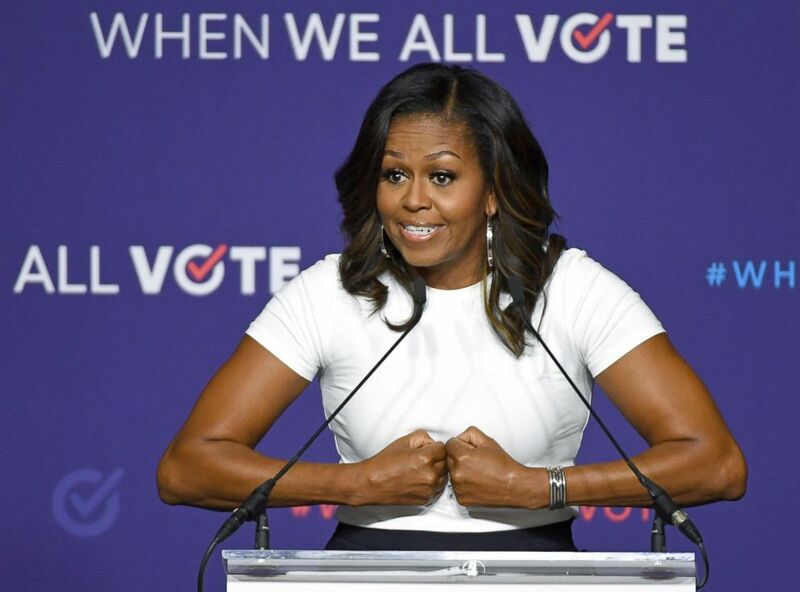 The former first lady rallied more than 2,000 people in Las Vegas Sunday during her first event for the When We All Vote voting initiative she launched this summer. (Ethan Miller/Getty Images) Former first lady Michelle Obama speaks during a rally for When We All Vote's National Week of Action at Chaparral High School, in Las Vegas, Sept. 23, 2018, in Las Vegas. Obama’s initiative features star power beyond her own. In addition to Obama, the nonpartisan When We All Vote counts Lin Manuel Miranda, Tim McGraw and wife Faith Hill, Janelle Monáe, Chris Paul and Tom Hanks as its co-chairs. The initiative's Week of Action, taking place now through Sept. 29, includes events in cities like Milwaukee, New York, Los Angeles, Atlanta and more. The "Billy on the Street" star teamed up with comedy website Funny or Die for an initiative called "Glam Up The Midterms!" aimed at young voters. 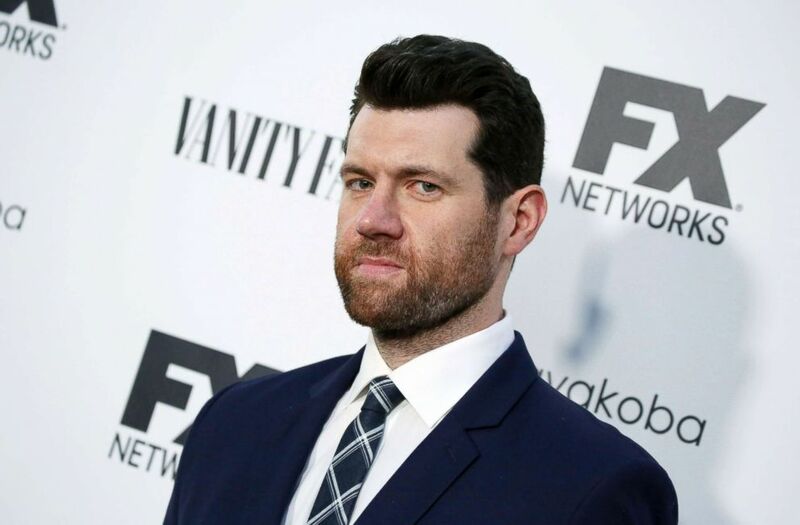 (Matt Baron/REX/Shutterstock) Billy Eichner at the Vanity Fair and FX Networks Emmys Party, in Los Angeles, Sept. 16, 2018. The initiative gets its point across in the opening line on its website: "Only 12% of young people voted during the last midterm election. Wow. That’s super embarrassing, America, time to step our game up." Eichner is using comedy and his celebrity friends to reach young people. The initiative recently released a "Non-voters Anonymous" video starring Eichner as well as Mandy Moore, Randall Park, Kumail Nanjiani and Darren Criss. 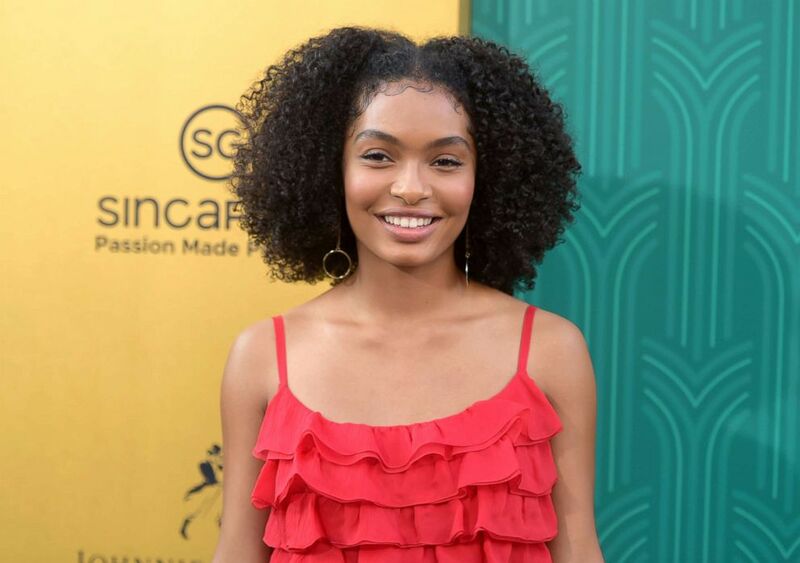 This year is the first year “Black-ish” star Yara Shahidi can vote. (Richard Shotwell/Invision/AP) Yara Shahidi arrives at the premiere of "Crazy Rich Asians" at the TCL Chinese Theatre, Aug. 7, 2018, in Los Angeles. The 18-year-old wants her fellow youth to get to the polls, too, and she's reaching out to them through her “Eighteenx18” initiative. She is leading a #WeVoteNextSummit on Sept. 29 in Los Angeles that aims to “educate and inspire the most powerful voting block in America,” according to the website. Also rallying young people to go vote are the survivors of the Feb. 14 shooting at Florida's Marjory Stoneman Douglas High School that killed 17 students and staff. (Taimy Alvarez/Sun Sentinel/TNS via Newscom) Marjory Stoneman Douglas students hold a press conference on June 4, 2018 at Pine Trails Park in Parkland, Fla. 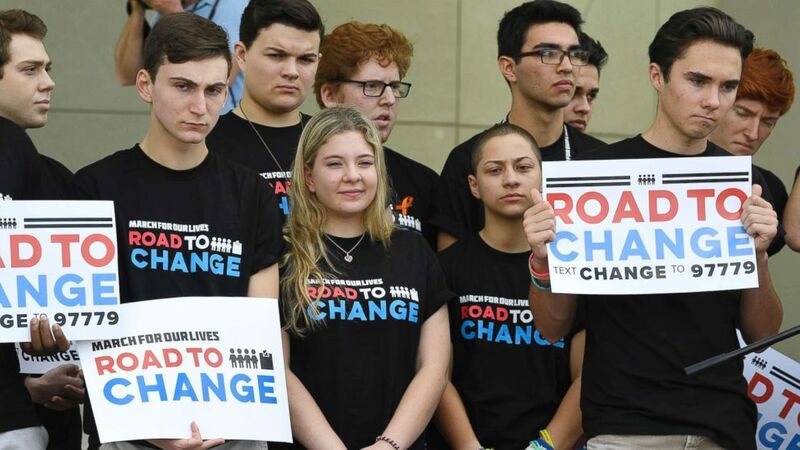 The Stoneman Douglas students behind the "March for Our Lives" movement spent the summer making more than 70 stops across the country on their “March for Our Lives: Road to Change" tour. The tour kicked off in June in Chicago, where student activists like David Hogg and Emma Gonzalez were joined by singer Jennifer Hudson and gun control advocate Gabby Giffords. Some of the Parkland survivors also appear in a get out the vote video released by HeadCount.org, a non-profit organization that uses music to promote voting. "The best way to prevent so many bad things is well-educated voting,” said Hogg, who is focusing full-time on the effort in his gap year before college. “We have to make sure that the people that are in power that refuse to take action on this are no longer in power." When “The Marvelous Mrs. Maisel” star Rachel Brosnahan took home an Emmy this month, she used her limited time on the stage to deliver a message about voting. 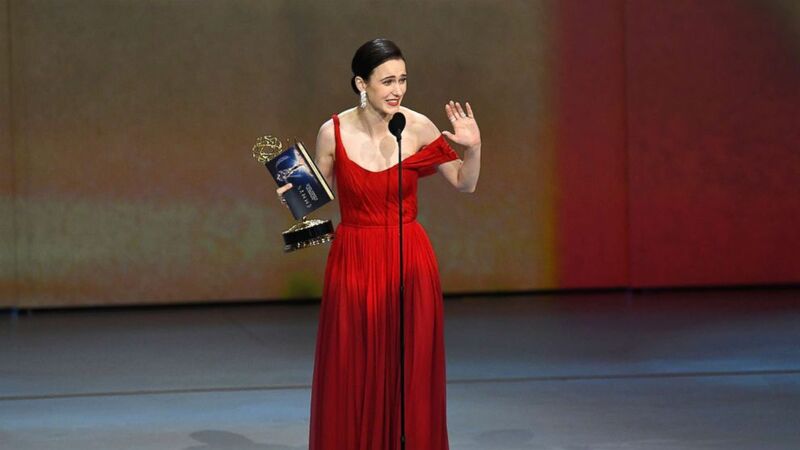 (Kevin Winter/Getty Images) Rachel Brosnahan accepts the Outstanding Lead Actress in a Comedy Series award for 'The Marvelous Mrs. Maisel' onstage during the 70th Emmy Awards at Microsoft Theater, Sept. 17, 2018, in Los Angeles. “Vote. Show up and bring a friend to the polls,” she said.